IISD Reporting Services (IISD RS) has produced daily web coverage from the High-level Meeting on the Africa Clean Energy Corridor, the Fourth session of the IRENA Assembly, WFES 2014 and the International Renewable Energy Jobs Conference. In addition, IISD RS has produced a summary report from the Fourth session of the IRENA Assembly, WFES 2014 and the International Renewable Energy Jobs Conference. To download our reports, click the HTML or PDF icons below. 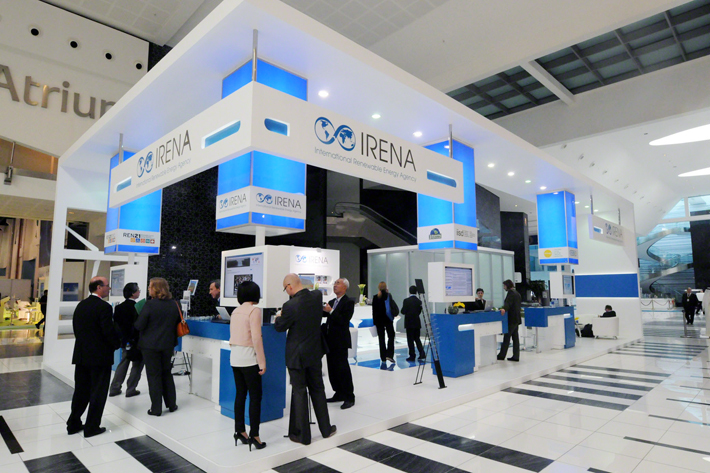 The fourth session of the IRENA Assembly will be held on 18-19 January 2014 in Abu Dhabi, UAE. This event, expected to draw more than 1,000 participants, will take up issues including the budget and work programme and adoption of reports. The IRENA Assembly will be preceded by the Africa Clean Energy Corridor High-level Meeting on 17 January. The World Future Energy Summit will take place at the Abu Dhabi National Exhibition Centre on 20-22 January 2014. It will explore how public policy, research and development, and business can benefit from the deployment of renewable energy. On 21 January, the IRENA Renewable Energy Jobs Conference will be held in Abu Dhabi. The Conference will focus on the renewable energy sector as a significant employer and the sector's potential for adding millions of jobs worldwide in the coming years. The Conference will provide a platform for experts and policymakers to share knowledge, experiences and best practices on all aspects of renewable energy job creation.